Formula One closed the 2017 chapter of its history book. The end of this year’s championship immediately triggered the start of the 2018 campaign. Most of the teams switched their focus on the preparation for next year. 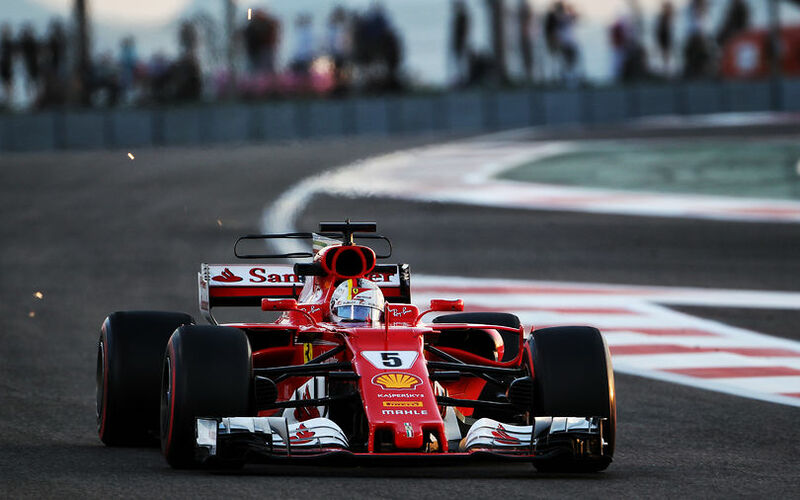 The regulation remain fairly stable for next year, however Pirelli’s softer tyres, the new clampdown on the engine regulation and the head protection system, the halo’s influence on the aerodynamics and weight distribution of the car means that the work at the factories remain ceaseless over the next weeks. After its championship campaign derailed on both fronts, the Scuderia abandoned the development of the SF70-H and switched its focus on its 2018 championship weapon. It is a fairly critical time for the engineers as this is the period when the final design path of the next year’s cars are defined. The Maranello-based team tried out different solutions over the last GP weekends. In Abu Dhabi, a new diffusor was tried out. This version is a Red Bull-inspired configuration. 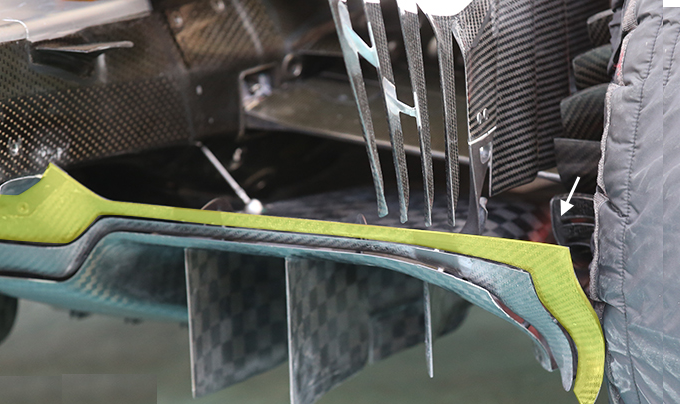 The four vanes on the outer part of the diffusor had been removed. Instead, the flaps and outer edges were made bigger and raised in a bid to channel the air to the sides. Kimi Räikkönen trialled this new configuration and his car was equipped with huge aero rakes to measure the pressure levels. His SF70H was running with more rake than usual which indicated that Ferrari wants to run more rake on its next year’s challenger than before. That massive rake was a trademark of Red Bull and Mercedes are also tipped to go that direction with its 2018 car.